English Important Questions One Word Substitution SSC SSC CGL 2017 SSC CGL 2018 Study Material. 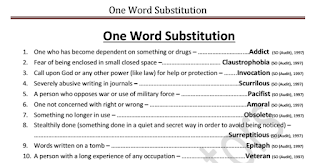 One Word Substitution Asked in SSC Exams 1997 Till date PDF. 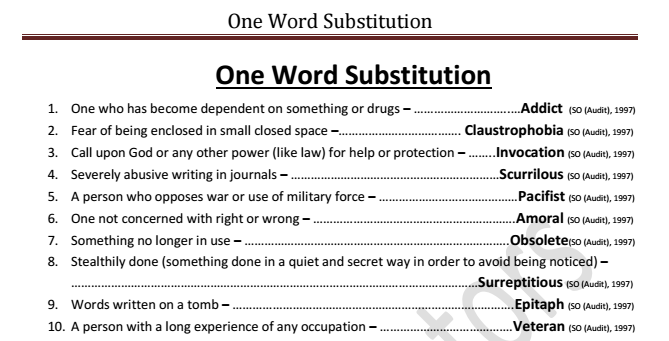 One Word Substitution Asked in SSC Exams 1997 Till date PDF. 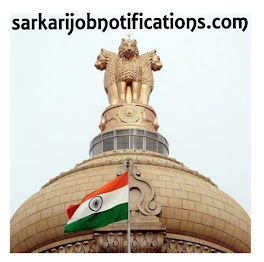 by www.sarkarijobnotifications.com on November 09, 2018 in English, Important Questions, One Word Substitution, SSC, SSC CGL 2017, SSC CGL 2018, Study Material. Today we are sharing a very important PDF i.e. List of All One word Substitution Questions asked in SSC Exams from 1997 till date for forthcoming SSC CGL Examination. This PDF has been created by Online Mentors and proper credits goes to them. You may download this PDF from the link provided below. Labels: English, Important Questions, One Word Substitution, SSC, SSC CGL 2017, SSC CGL 2018, Study Material.